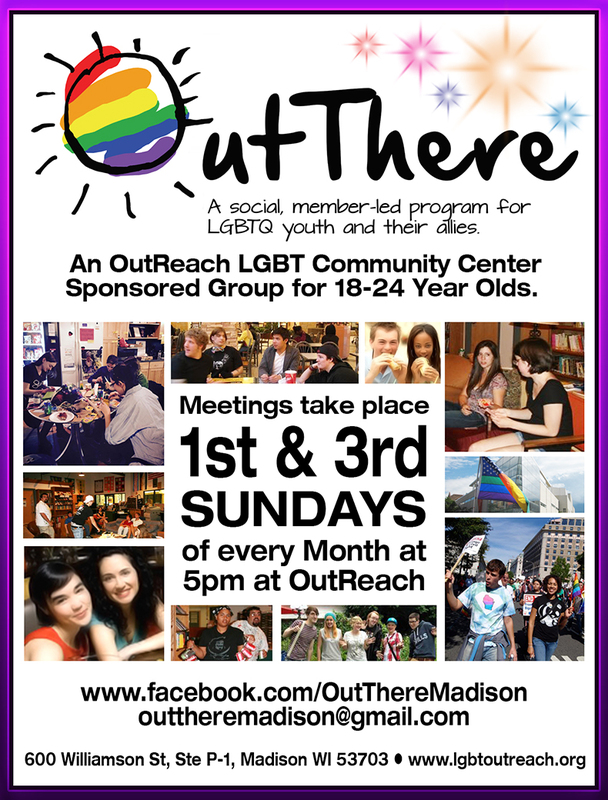 OutThere is a social, member-led program of OutReach LGBT Community Center designed for LGBTQ youth and their allies. We have weekly meetings where we get together and watch movies, play games, go on trips, and hang out. Our meetings are designed to be a safe-space for all and we welcome new members whole-heartedly.